Much of Europe does not have English as its mother tongue yet, because of the worldwide nature of internet poker, it has been English that has dominated the poker chat rooms and software. It may also be the case that poker rooms have been slow to embrace Continental Europe because of the language barrier. However, now that there are many European based poker rooms, things are changing fast. UK-based leading bookmaker, William Hill, has already made moves to accommodate the demands of some non-English speaking parts of Europe and, in its latest development, has targeted the Greek-speaking population. In conjunction with its platform provider, Cryptologic Inc, William Hill is supplying a Greek-language version of its leading poker room. This is a shrewd move by Hills because there is no doubt that the Mediterranean area is a hotbed of poker players with plenty of untapped potential. When the big players like William Hill start to target specific markets, it is a clear indication that the stakes are being increased. Peter Nolan, Group Director of Interactive Business at William Hill says "One of the key benefits of our long relationship using CryptoLogic software is the flexibility with which we can take the fun and excitement of William Hill Poker to new people and new places." A J Slivinski, Managing Director of WagerLogic Ltd (a Cryptologic subsidiary company), says "Europe is one of the most promising Internet gaming markets. We're delighted to enable William Hill to be one of the first to offer a world-class multi-currency poker room in the Greek language - and look forward to seeing excellent results." William Hill is one of the world's leading betting companies specialising in offering legal off-track wagering. 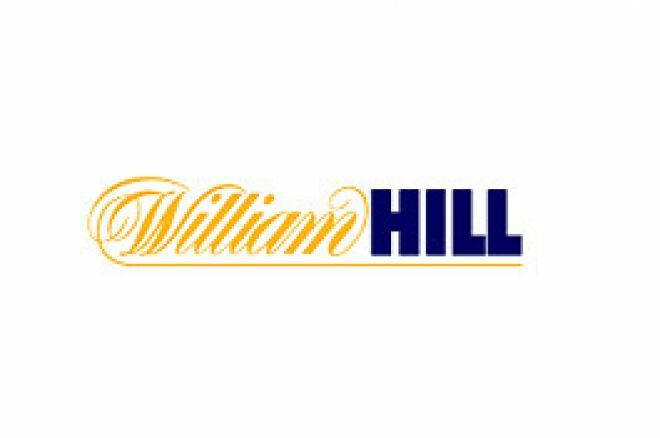 Founded in 1934, William Hill has over 70 years of experience offering betting services, currently operating over 1,600 licensed betting offices in the UK. The company has over 450,000 telephone clients worldwide, making it the world's largest telephone betting organisation, as well as operating the fastest growing internet gambling site of any UK based betting company with 292,000 active clients. Ed note: Make a profit in any language by signing on at William Hill today.